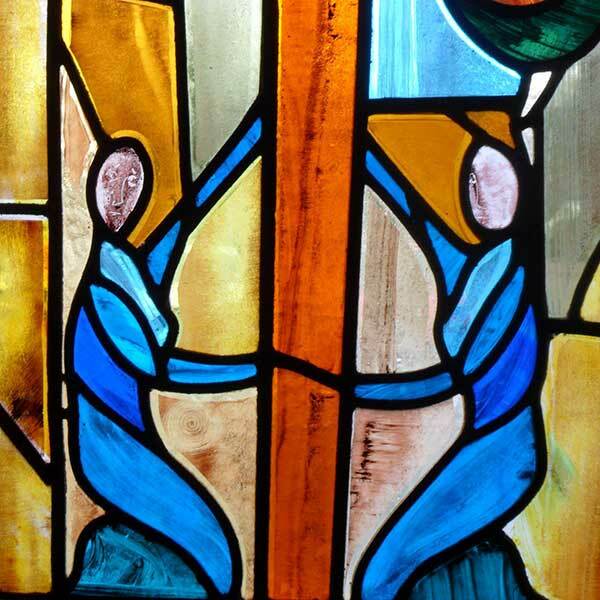 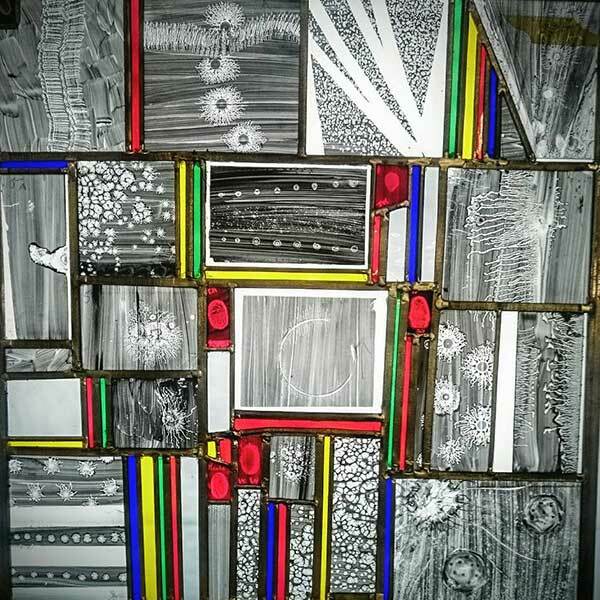 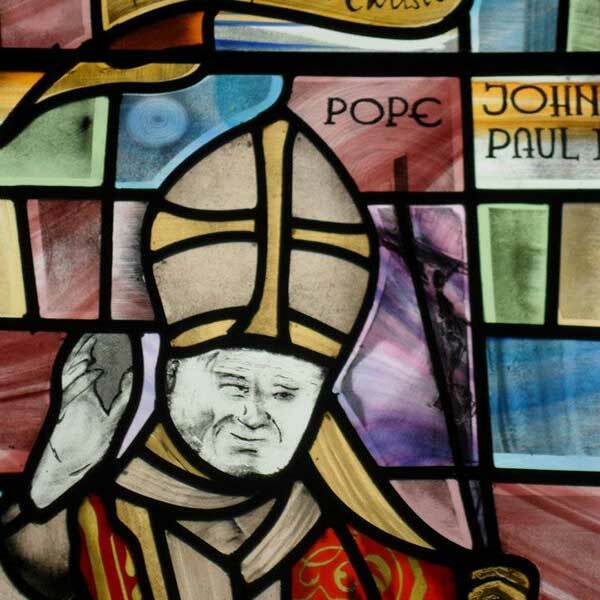 For a window with a difference, stained glass offers an individual result for your project. 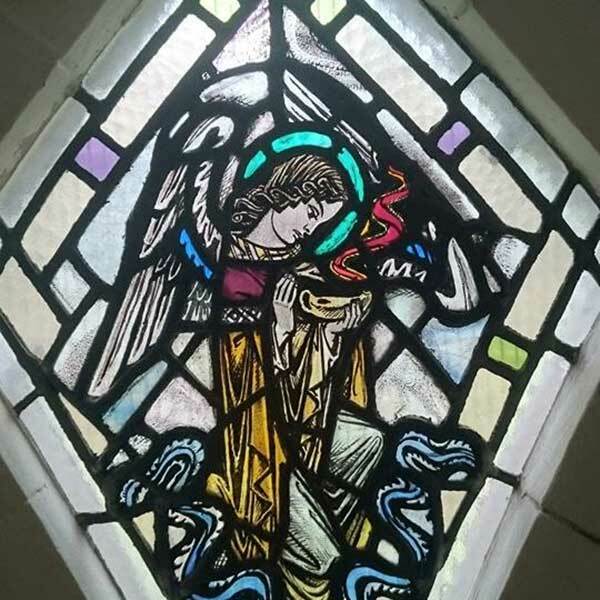 We work at churches and other religious buildings, private properties and design commercial installations across the UK as a stained glass specialist, with extensive in-house expertise and design. 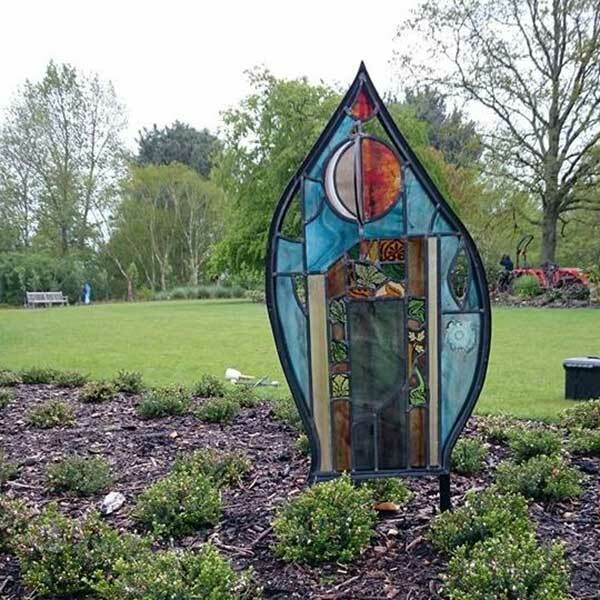 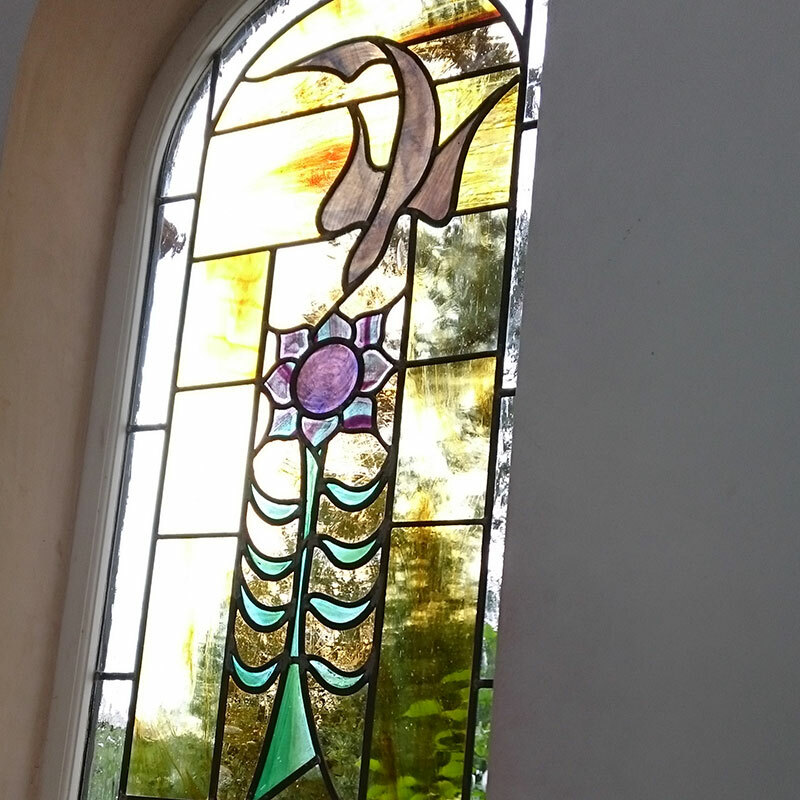 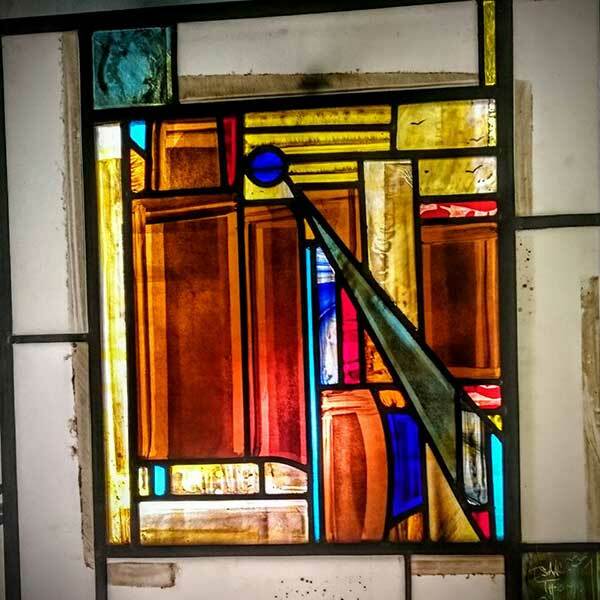 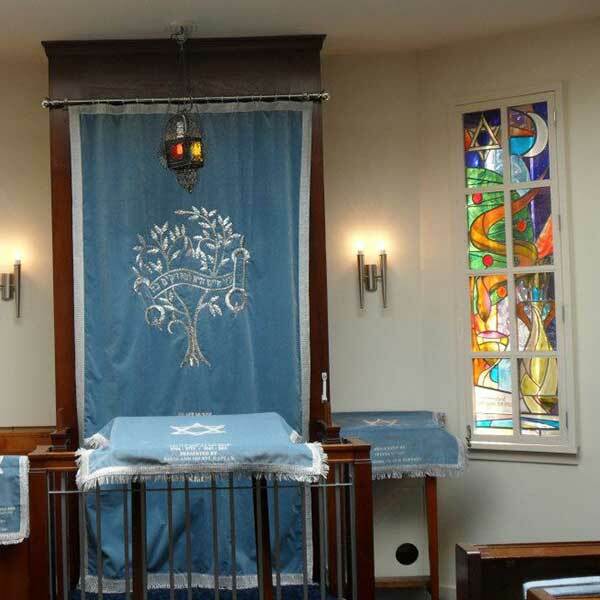 Headed by the renowned Stained Glass Craftsman, Andrew Johnston, our team in Southampton has many years experience in stained glass painting, design and composition; and installation and refurbishment. 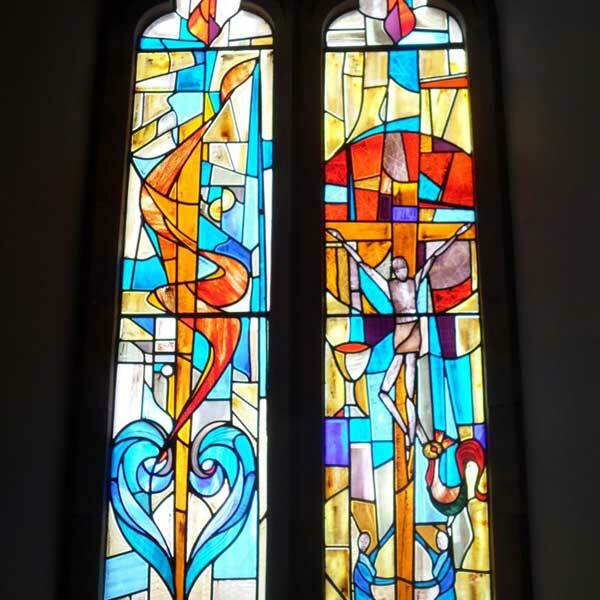 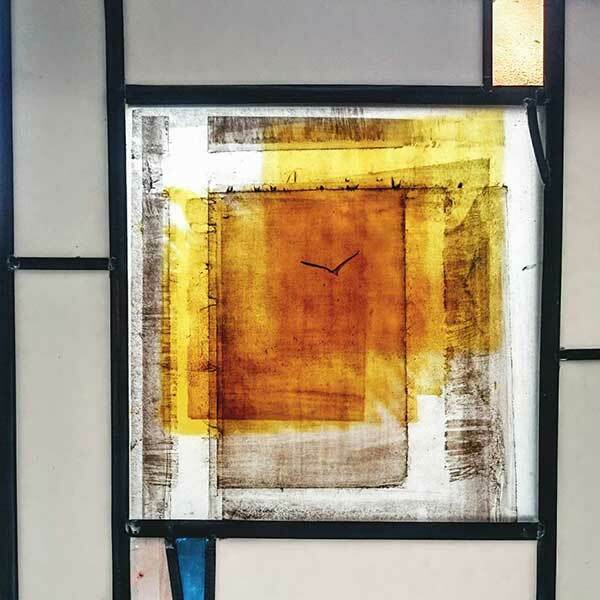 Andrew has worked on many prestigious installations and restorations including St. Marys Cathedral, Sir Eduardo Paolozzi Millenium Window, Greyfriars Kirk and a many varied number of other projects. 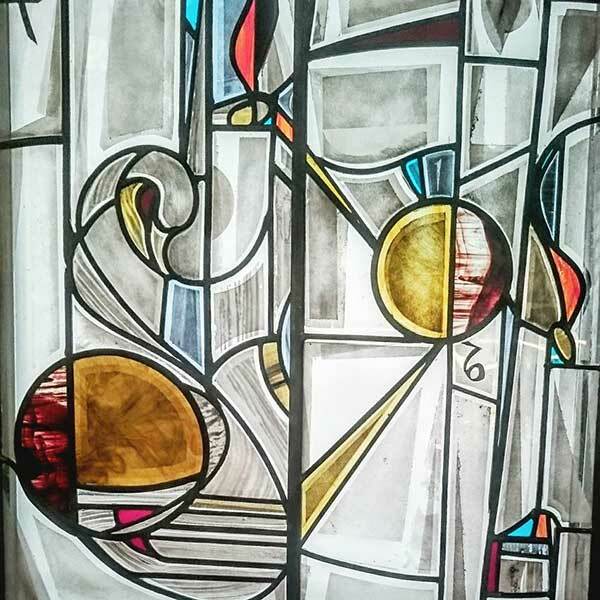 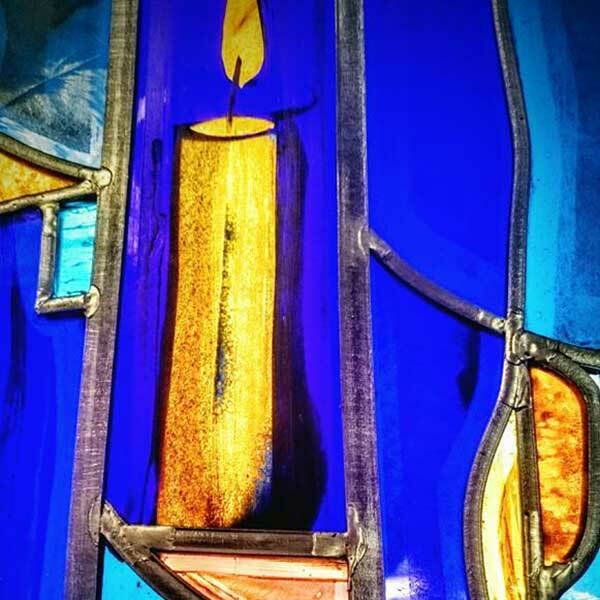 Stained glass painting, designing and composition. 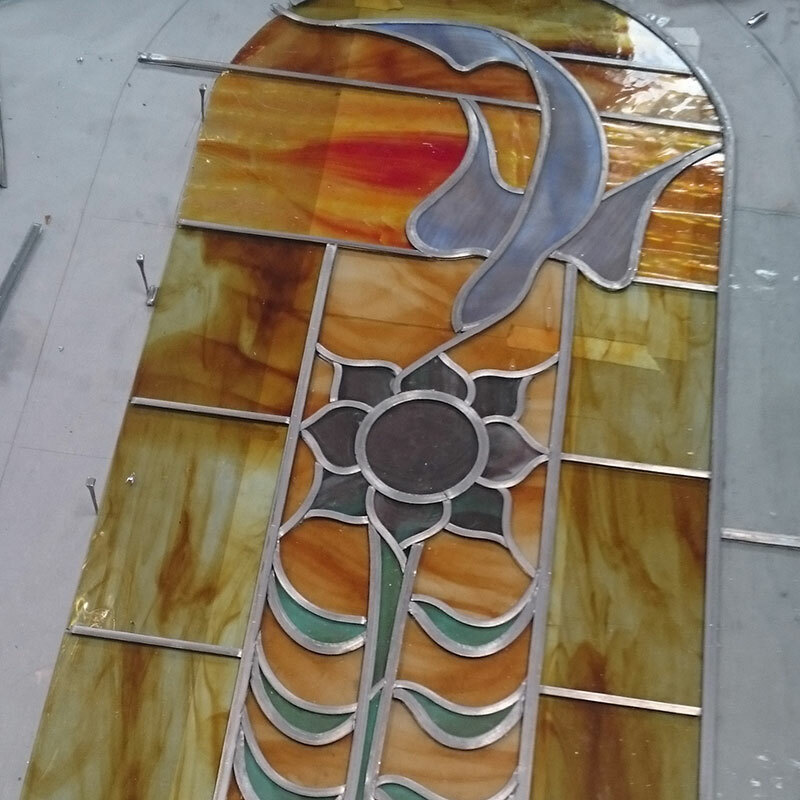 All aspects of traditional manufacture stained glass and installation. 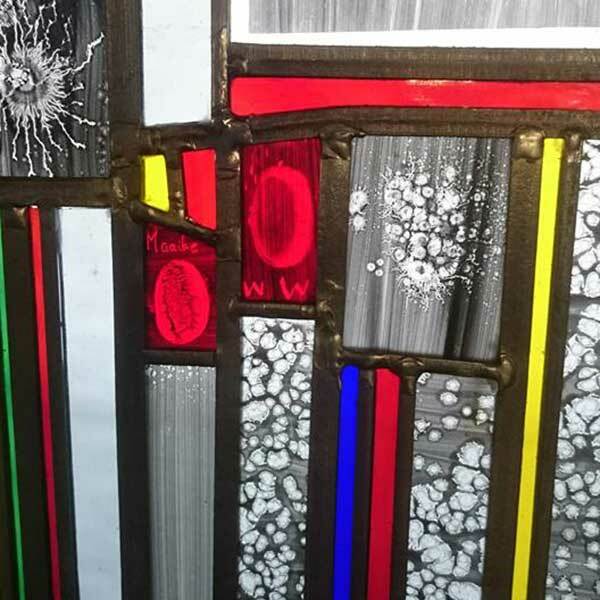 Leadlight making, glass cutting, acid etching and sandblasting. 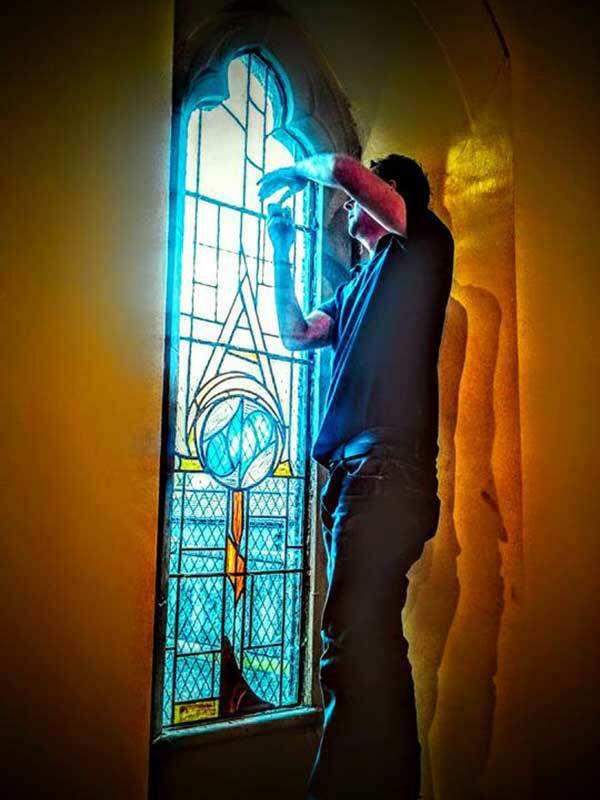 Andrew working on-site to repair a leaded window.